The Juno-nominated Orchid Ensemble blends ancient musical instruments and traditions from China and beyond, creating a beautiful new sound that is both creative and distinct. 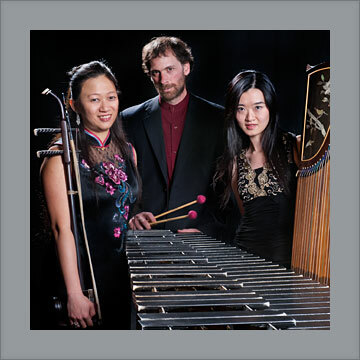 The ensemble has embraced a variety of musical styles to its repertoire, ranging from the traditional and contemporary music of China, World Music, New Music to Jazz and Creative Improvisation. The energetic yet endearing performance style of the ensemble consistently intrigues and delights its audiences, consistently receiving standing ovations. Acclaimed as 'One of the brightest blossoms on the world music scene' (Georgia Straight), the Orchid Ensemble has been tirelessly developing an innovative musical genre based on the cultural exchange between Western and Asian musicians. They achieve a collective style that is beauteous, sensual, deep, and culturally rich without violating any traditional aesthetic. A wonderful combination of spirit, connectedness, and sonic timbres, the Orchid Ensemble deserve wide attention on their own terms and integrity of purpose. They stand unique unto themselves. Orchid Ensemble is truly captivating, gently leading the listener to its contemporary compositions and sounds, subtly colored by Middle Eastern and Indiansensibilities or Ashkenazi lyricism. Unique and superb.